Elaborate Discussion on GoDaddy Web Hosting Plans & Packages | ODosta Inc.
On that time, when everyone is planning to purchase Web hosting for their blogging platform. Everyone becomes curious to decide, from which web hosting site, should they purchase their web hosting. If we’ll invest on any website who sales web hosting and web domain, without reviewed that site, it may chaos us after purchased any product from them. If you planned to purchase web domain or web hosting from a specify website. You should to chat with that website representative. In all web hosting and web domain site there’s a chat page always available. This was the something you ought to do before going to purchase a web hosting or web domain. But today we’ll review GoDaddy web hosting. Let’s get started. GoDaddy is a publically Internet web domain register and web hosting company. GoDaddy was discovered by “Bob Parsons”. Basically, the simple answer is, this is that website where you can register your domain like, www.example.com. Here “www” is a World Wide Web (Open source data space, identified with URL’s), While example.com is a domain. GoDaddy is one of the largest web domain register website and also there web hosting is so good. GoDaddy has above 13 million customers. Mean, 13 million plus customer have registered on this site and may be purchased many things from here. This website has above five thousand employers (5,000) and it has registered almost 60 millions (sixty-million) domains yet. In this modern period everyone can make website very easily with just getting registered on WordPress/BlogSpot/Tumblr/LiveJournal/Weebly/Ghost or others. There you can make your website free but your addresses contain their blogging platform name like, example.blogspot.com/ example.wordpress.com/ example.tumblr.com etc. It is called “blog” or “sub domain”. Before planned to create a website, in your mind only one thing are moving. When will I make money from my website? But, in order to make money from your site, you need good traffic as well as to purchase a web domain also. If you use BlogSpot, web domain is enough. But, BlogSpot is not enough good, as SEO point of view. So, if you use wordpress or other blogging platform. This is necessary to purchase a web domain as well as to purchase web hosting too, in order to approve any advertising program and monetize your website to make money. But today we’ll discuss about web hosting only. This is our main goal in this topic to remove your confusion that you always get while to select web hosting. The biggest benefit of this website is, it gives you three packages/plans for web hosting. For Beginners, for meddlers experiences persons and last package is for entrepreneur or for professional’s bloggers. So, first talk about Beginners Package. In GoDaddy, economy package is also known as Beginners Package. But it’s just a start or practice. If you also a beginner, then you should purchase this package. You can host only one website in it. And it will give you 100GB disk space. Enough for any platform! If you are thinking we will install hosting on WP (WordPress), my 100GB package will over fast. So, this is impossible to use whole 1GB. Let’s suppose, if you create a file in Microsoft Office, you might be able to type as many as 10,000 words. So, if you write 10,000 words article in Microsoft Office. You will be charged maximum 50kb’s by that software. We know that, 1024kb = 1mb and we also know 1024mb = 1GB, there are many space to write your post on. When we talk about installation of plugins then, still you have not any chance to lose 100GB in one month But 100GB is a big space. You can install anything you want to do freely. It’s also gives you unlimited bandwidth mean your website will never close anymore by this package. Some package will gives you limited bandwidth as 1GB or 2GB, once that package earn more traffic the bandwidth of that package been down and your visitors cannot see your webpage. And your website will shoot out from search engines! Hints: Must register any package for 24-36 month. Because, now it charge you $4.99/month, if you’re register hosting for 24-36 months. Once it expired, GoDaddy will charge you more, as $6.99 a month. This is why purchase for 2-3 year to get more benefits. If you did blogging in past and have some experience about blogging and also have two or three websites, then this package will suit for you. This is very useful for those people who have more than one website and want to host their all websites with one web hosting; you should buy it, As It also have unlimited space to host your website. This is the very good quality of this package. You can host more than one website as well as use unlimited space to install widget, plugins or others. And it also have unlimited bandwidth, mean you know. You can live your website always. Hint: Do not purchase limited bandwidth for any website, because if you’ll generate more traffic then, you’ll get a chance that you will be ban for some days or even for a week. As I already mentioned this package used by some peoples. So they can be professional bloggers, who did blogging for last some years and has bundle of experience and earn good amount of money, So that he can pay on time. This package use very rich bloggers. But in this package there have not too much difference as compare to above two. Only thing that you will get in this is SSL certificate. If you want to implement “HTTPS” protocol also before starting of “WWW” then it helps you. 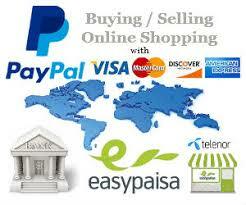 If you have e-commerce or a popular forum site then you can purchase it. Otherwise this package has not much difference from above two. I hope above mentioned information will help you to Buy a best Domain and Hosting from Godaddy to Create a Best Blog for Reasonable Earning.